How do you stop a sailing boat? You're the boat, aren't you? How to meditate for beginners? Look for a place where you are undisturbed an comfortable for five or ten minutes.... look.... look...look... look.... look ...found it? OK! 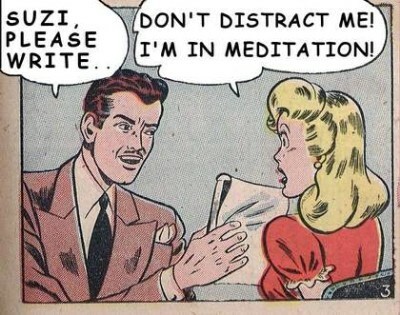 That's your meditation, your Zen meditation! Meditation techniques can be improved with a simple breathing exercise called counting the breath. It's not at all difficult to learn. See Suzi! How to do meditation as a beginner with breathing exercises? ...slowly start your breathing exercise. Breath in breath out...out...out: TEN! ...and then? 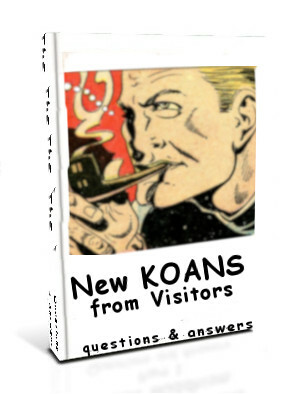 Start again with ONE! Got it? Sounds easy! Just breathing and counting until ten. No problem. Unfortunately this "How to meditate for beginners" isn't as simple as it sounds. After breathing and counting until FOUR! FIVE! or SEVEN! an idea, a picture or a story from the past sneaks up and takes over your mind. 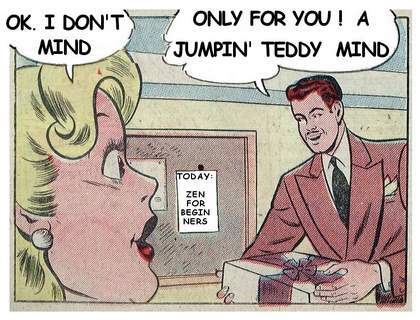 Your mind is a jumping teddy bear. It likes to plays games with you. You get lost in thinking, stories or daydreaming, fascinated by emotions and fantasies. Only after some time will you suddenly remember your breathing exercise. This happens to everybody. Don't beat yourself. Smile. Aren't you still breathing? Yes, You are. Start counting again. Smile and breath and count. You failed again? You couldn't count until TEN? Ok. Start again counting your breath. That's the way of Zen. These "how to meditate for beginners" exercises will bring you deeper into your mind every time you try. It's a serious exercise, but laugh, if you find yourself trying too hard to achieve the mastering of mind concentration. Counting breath doesn't keep your teddy bear mind busy enough. It becomes bored during meditation and looks for entertainment. Teddy again starts jumping around, talking, acting, entertaining. Enjoy the teddy's jumping, listen to his stories. Don't interfere. Watching the teddy bear mind, that's how to meditate for beginners.